"Into the Sunlit Splendor: The Aviation Art of William S. Phillips," featuring over 130 paintings in a definitive collection of his aviation art. This deluxe Collector’s Edition™ book and fine art canvas set is an extremely limited edition, jacketed and slipcased with a special, bound-in certificate sheet signed by the artist. 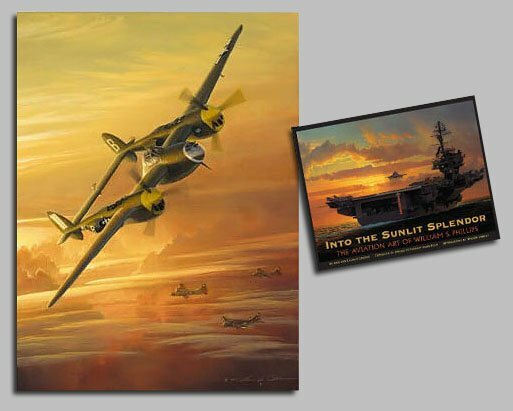 The set is completed by the Limited Edition Fine Art Giclée Canvas, "Lightning from the Sun," signed by the artist and numbered.